The differences in measuring pulpwood can lead to several disputes amongst parties. Disagreements arise due to subjective measurements made by manual eye vision. There is a more accurate way to measure pulpwood. 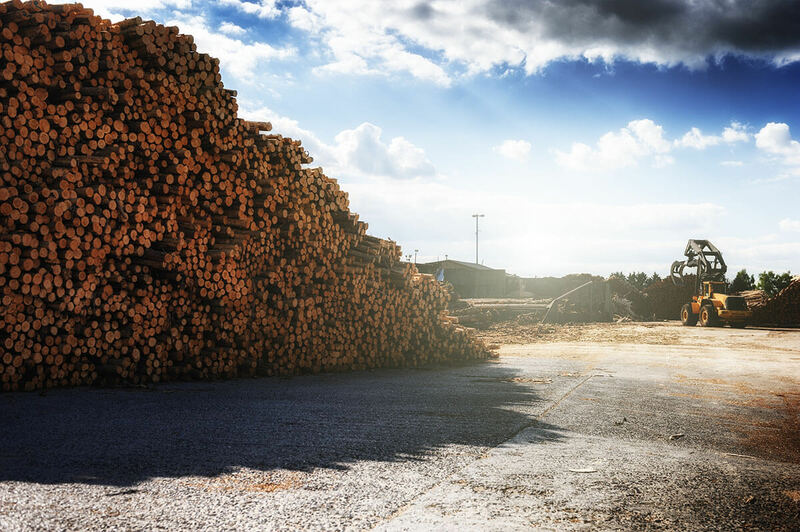 Pulp-and fuelwood measurements are usually done by visual observation with the help of pile density coefficient (also called the filling factor). Pile density coefficient determines the timber amount without air and bark. The volume of timber is calculated by using pile density coefficient that is multiplied with the cubage of the pile. This measurement method is quick but the subjectivity in the measurement process reduces its reliability. Everyday error margin varies from 5-10%. Wood material is expensive, so error margin can easily cause significant material loss. If the coefficient is 50, the price to pay is: 0.5×60(volume) x 30 (price) = €900. In case the coefficient is actually 56, then the average truck costs 0.56×60 (volume) x 30 (price) = €1008. Assessing pile density using eye vision is very subjective and is open to a high risk of human error. Yet this process must be understandable and transparent on both sides. Currently sellers need to accept the volume stated by the other party. Timbeter is an objective tool that is not impacted by human error or any other factors. It provides a result that can be controlled by both sides. Transparent measurement helps to increase mutual trust between partners and improve the partnership. In case you get disagreements over your measurements, using Timbeter removes such arguments. Timbeter provides digital proof of every measurement and can be stored and retrieved online to settle disputes. Measurements are made on real timber, not those that have already been cut into pieces or piled into a big pile. Furthermore, it helps prevent situations, where a stronger party dictates the pile density coefficient and the subsequent weaker party cannot disagree for the sake of cooperation. Precise measurement and digital proof help to minimize the risks of potential financial loss. Digitally stored measurement data can be easily shared by all those who require it. Forest owners can ask for competitive price offers from different companies. Forestry professionals have a saying that forestry business is a approximate business. As a forest owner, selling the material once in your life you want to be sure that you are getting the right price for your timber. Digital information enables multifunctional data use whilst minimizing double data entry and paper resources. Within the forestry sector, huge volumes of data are still stored on paper. But papers can easily get lost. By using Timbeter, all your data is backed-up, stored and available online. You can access, manage, forward and share your data easily. By using Timbeter you can have your measurement results within 2-5 minutes and share that information with sellers instantaneously. Plus should a disagreement occur the only option to settle would be to tear apart the whole pile and measure it piece by piece that would take at least an hour. Now you can have the same accurate result in just couple of minutes. How do you measure pulpwood and solve your disputes?